It's smart because it now puts the onus on Pelosi to open the government. It also puts the pressure on Pelosi to act on immigration reform. For 25 years, Democrats have preferred to politicize the immigration issue -- and treat Hispanic voters as political hostages -- rather than agree to a bipartisan solution to deal with the 10 million illegal immigrants residing in the U.S. He can also score big gains with Latino voters. Many believe that Trump dislikes them and is "racist." This deal -- combined with the best job market for Hispanics in 50 years -- would show immigrants that Trump cares about them and has taken significant actions to improve their lives and their economic opportunities. 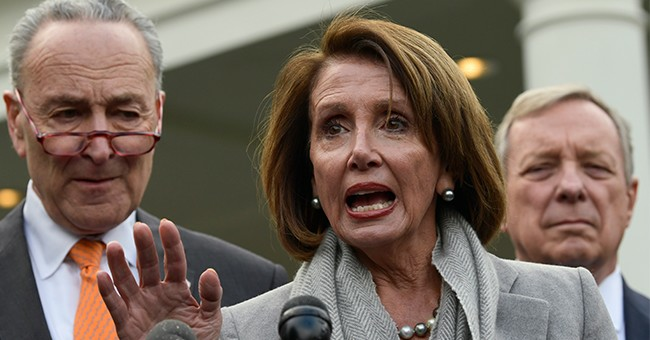 If Pelosi says no to the "DACA for the wall" deal, suddenly, she will be the hardheaded one keeping the government shut down. She will have rejected a deal that most Americans will regard as fair and reasonable.